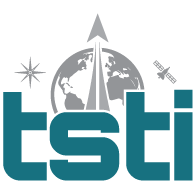 Understanding Space in Noordwijk, The Netherlands | TSTI | Teaching Science and Technology, Inc. This exciting, fast-paced two-day course delivers the “big picture” of space missions from cradle to grave. Understanding Space is the ideal course for technical or non-technical professionals new to the space industry or who need a refresher on the fundamentals. View complete course description here. You can also qualify for a free digital badge by taking this course! See details here.